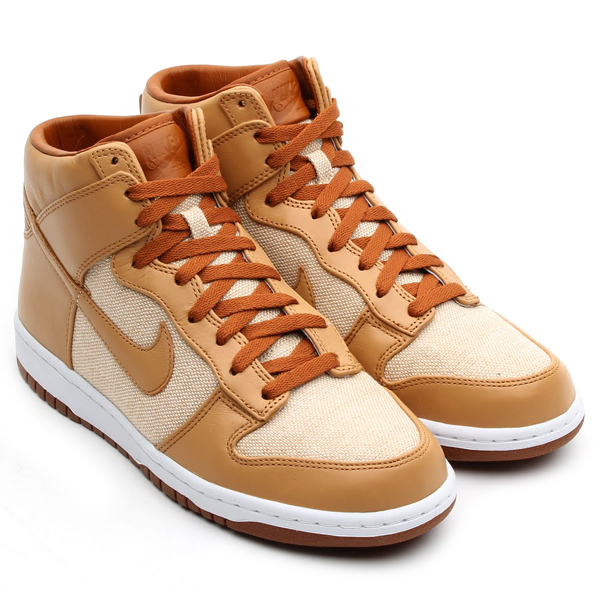 Nike Sportswear revisits the classic "Acorn" colorway with a new Dunk High PRM. 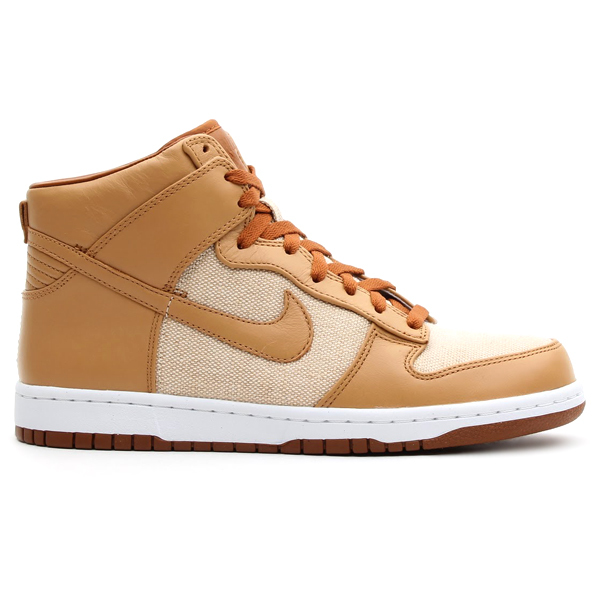 Nike will revisit another iconic colorway this month, releasing the Dunk High in Natural / Underbrush / Acorn. 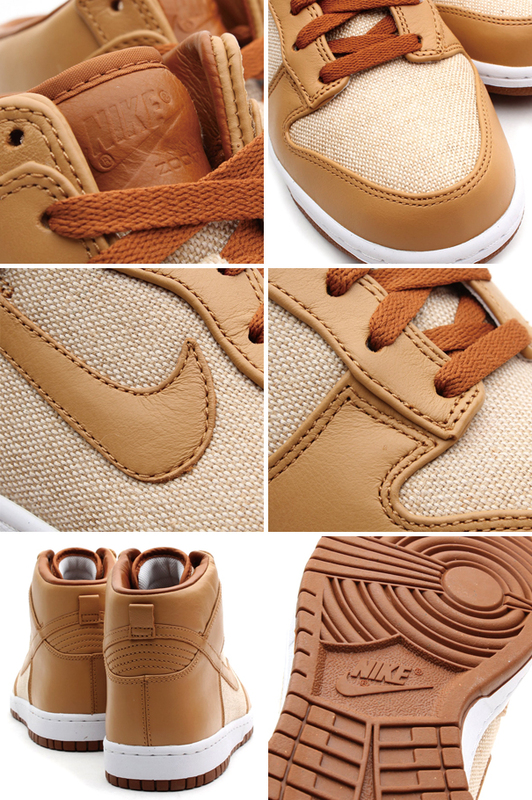 Inspired by the 2002 Air Force 1 Low "Acorn," this new Dunk offering features a premium leather and canvas upper, mixing together shades of brown and white in classic "Acorn" fashion. atmos Tokyo will release the Nike Dunk High PRM SP 'Acorn' on Saturday, September 28.